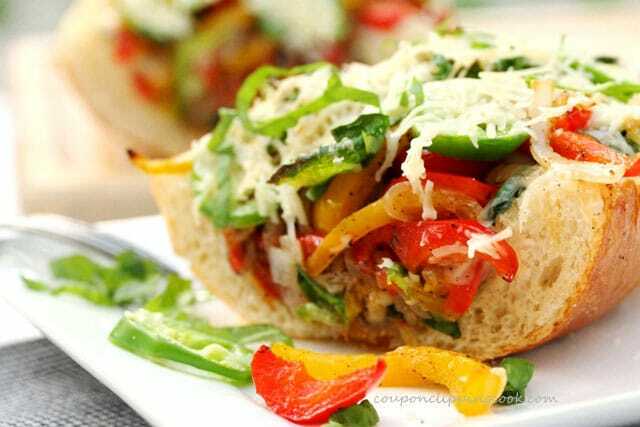 This recipe is meatless and delicious. 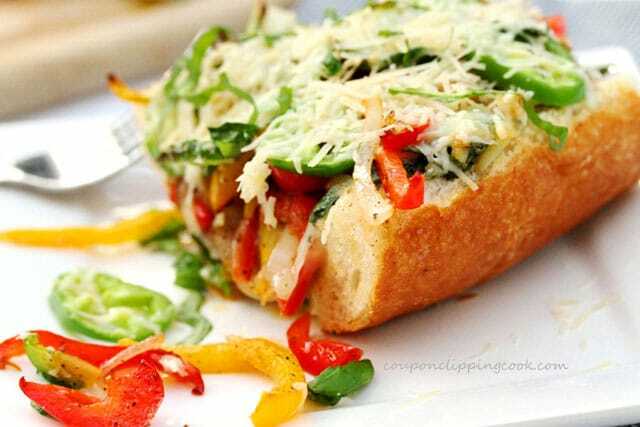 It’s actually similar to a “tomato-less” french bread pizza (if there was such a thing). 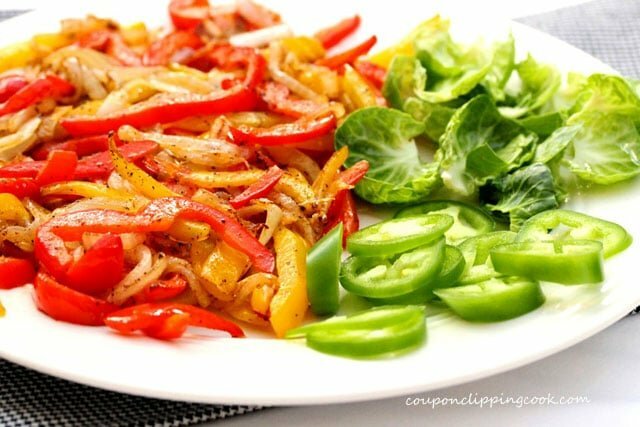 I happened to find yellow and red bell peppers on sale so I used them in this dish. Normally, the colored bell peppers tend to be on the expensive side so it’s a real treat when they’re on sale. I also used a sliced jalapeno which adds a bit of heat to the dish so if you don’t like it spicy you may want to omit the jalapeno. Also included in this recipe are just the leaves from a couple Brussels sprouts, fresh basil, fresh thyme, and an entire bulb of garlic that I roasted in a foil tent. 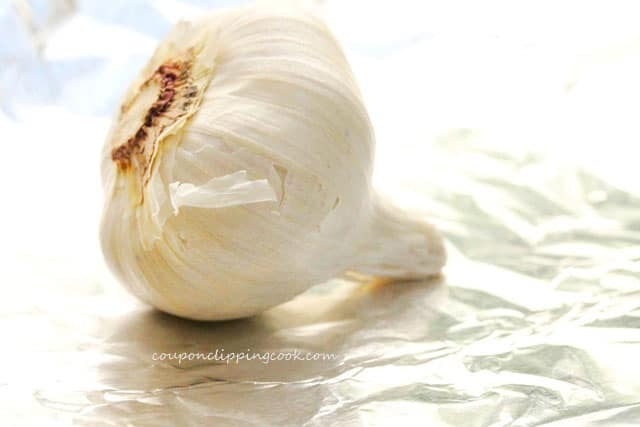 In the middle of a large piece of foil, lay the bulb of garlic. 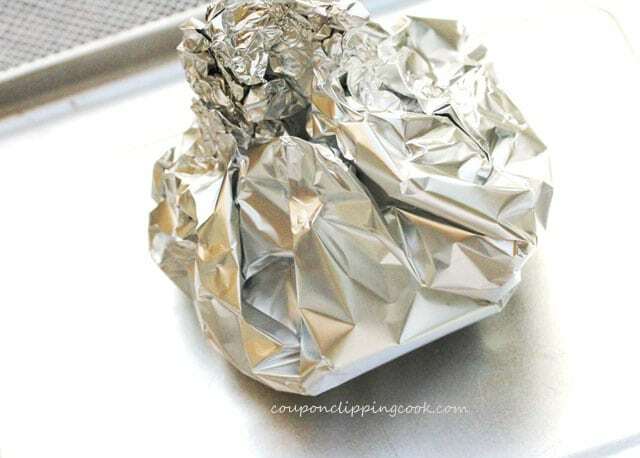 Tightly wrap the edges of the foil together over the garlic to form a “tent”, and set it on a small baking sheet. 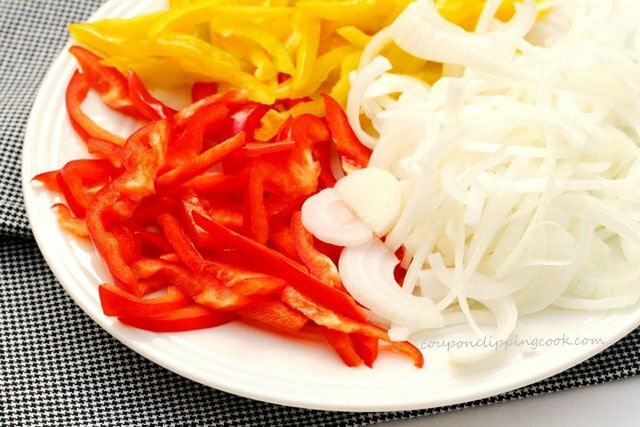 While the garlic is in the oven, slice the bell peppers and onion. 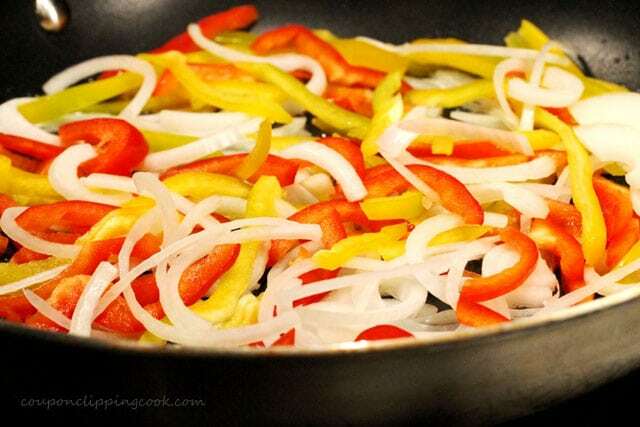 Stir the bell peppers and onion so they cook evenly. 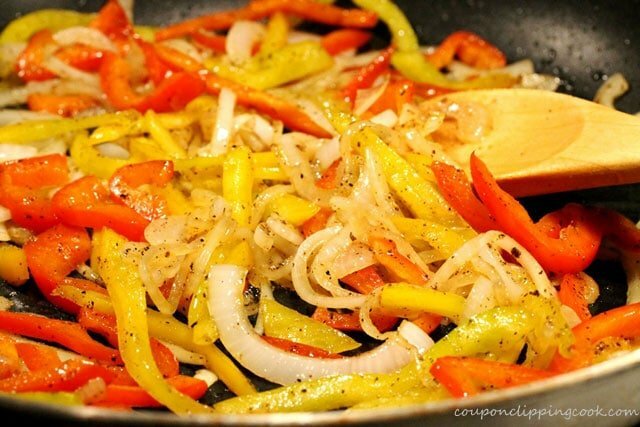 Sauté the bell pepper and onions until the onions start to turn translucent (about 8 minutes). Peel the leaves off of the Brussels sprouts. 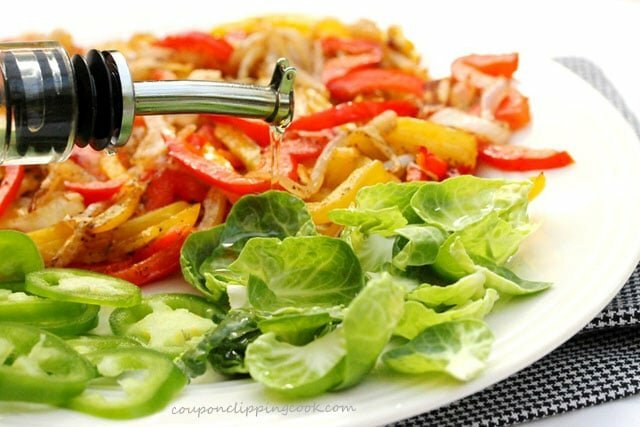 Drizzle olive oil over the Brussels sprouts (leaves). 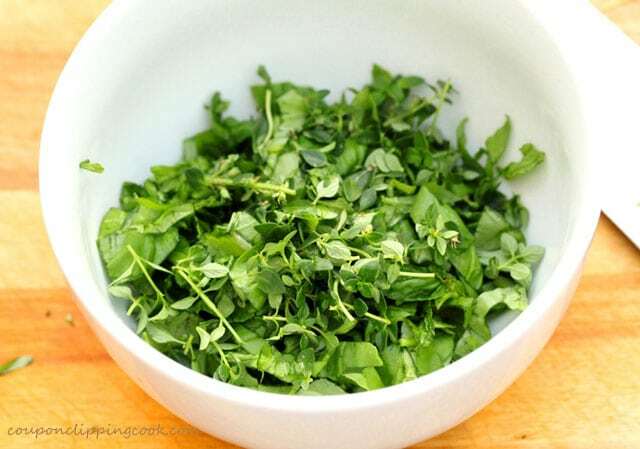 Cut the basil into strips and put them in a small bowl. 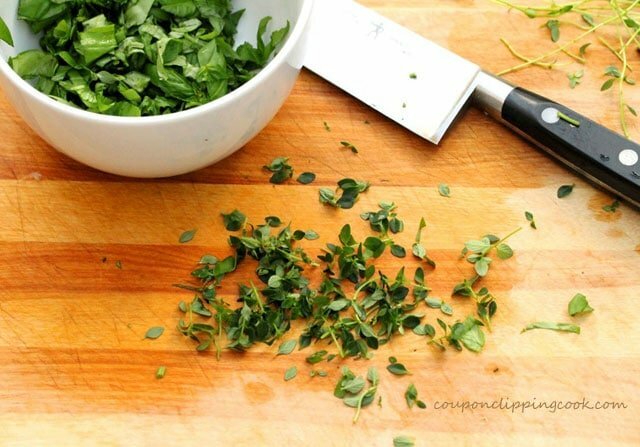 Strip the leaves off of the thyme and add to the bowl with the basil. 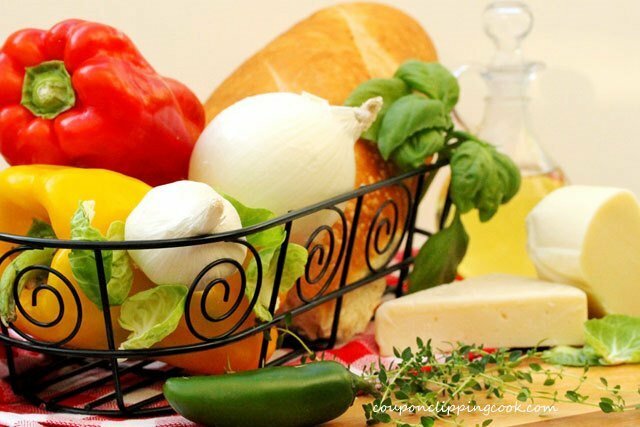 Add olive oil to the bowl and set aside for a moment. squeeze each clove into the bowl with the thyme and basil. With the back of a spoon, smash the garlic up and mix into the herbs. Salt to taste. 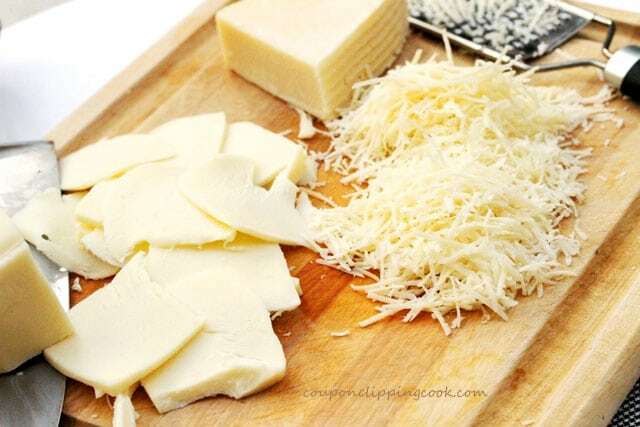 Slice the mozzarella into about 10 pieces, and shred the Romano cheese. 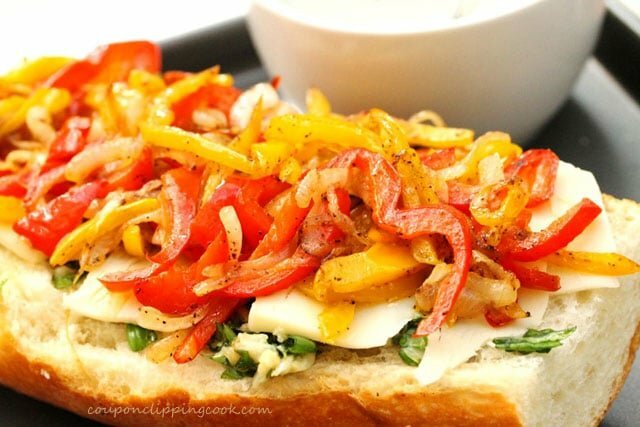 Cut the French bread in half lengthwise and set it on a baking sheet. If the top (rounded) side of the bread is used, cut off a small piece from the rounded edge on the top of the bread so it will lay flat. 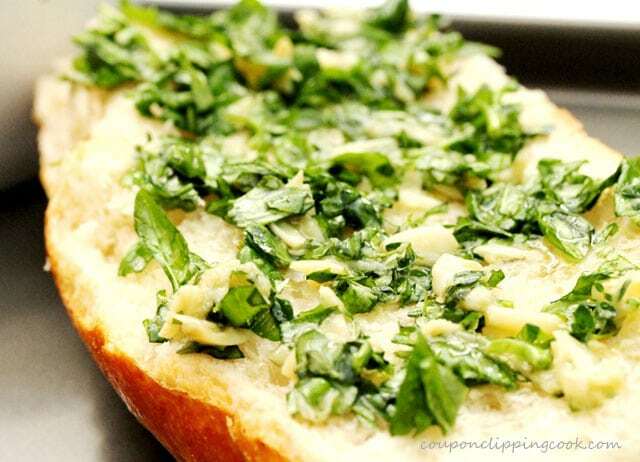 Spread the herb and garlic mixture over the bread. Drizzle olive oil over the herb and garlic mixture so it seeps into the bread. 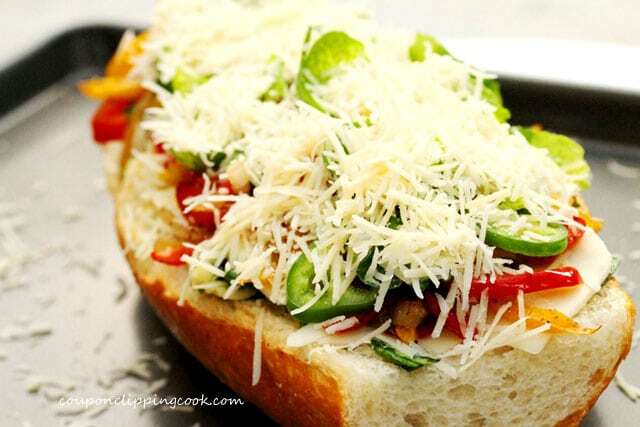 Lay the slices of mozzarella cheese evenly over the herb and garlic mixture. 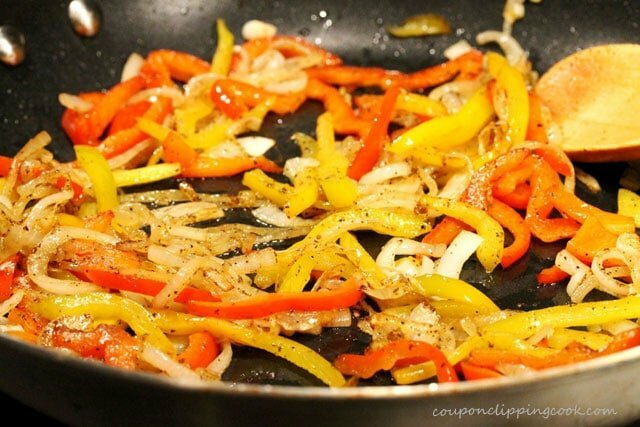 Top with the bell peppers and onions. 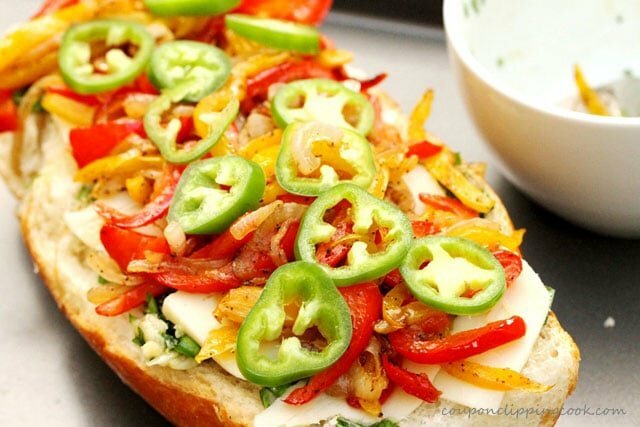 Then top with the slices of jalapeno. 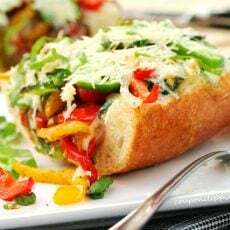 bake in a preheated oven until the Romano cheese melts (about 15 minutes). 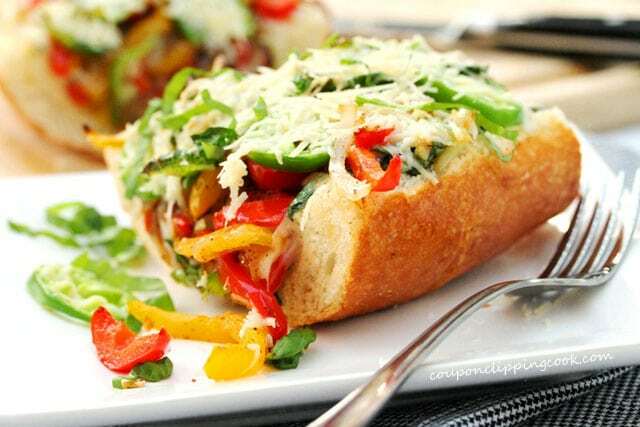 A wonderful array of flavors and textures with sauteed vegetables, cheese, and roasted garlic and herb toasted bread. 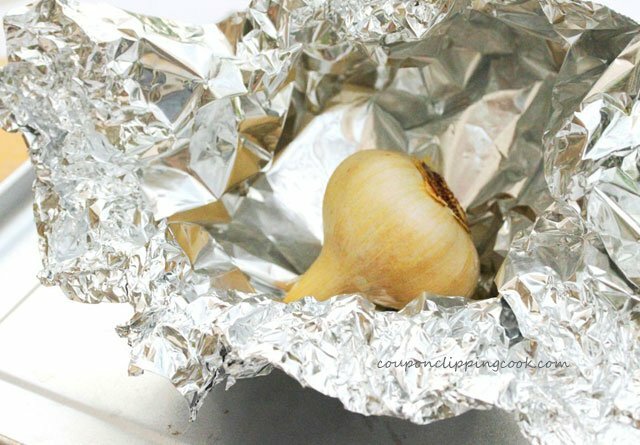 In the middle of a large piece of foil, lay the bulb of garlic. 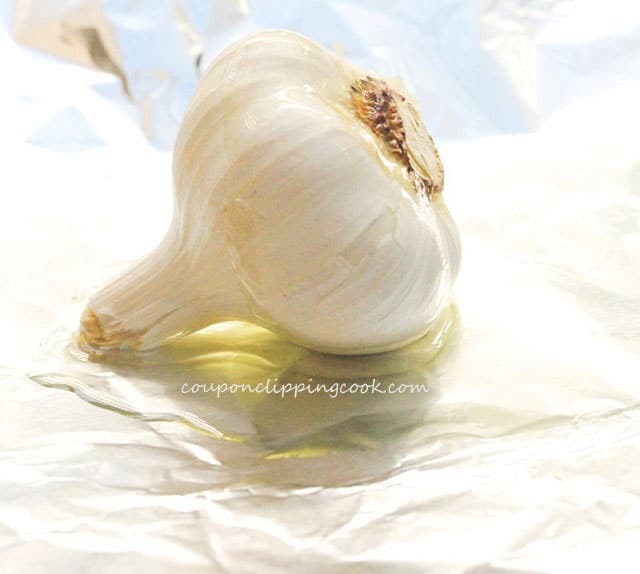 Drizzle olive oil over the garlic. 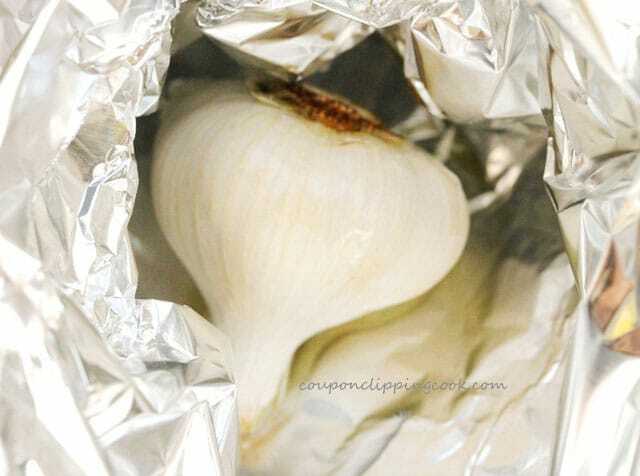 Tightly wrap the top edges of the foil together to form a "tent" over the garlic and set it on a small baking sheet. Bake in a preheated oven for 20 minutes. Remove from the oven and let cool. 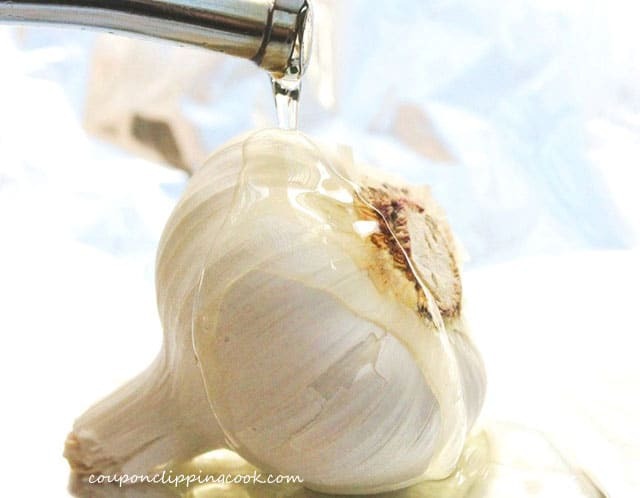 When the garlic is cool, squeeze out the cloves of garlic. Set aside. 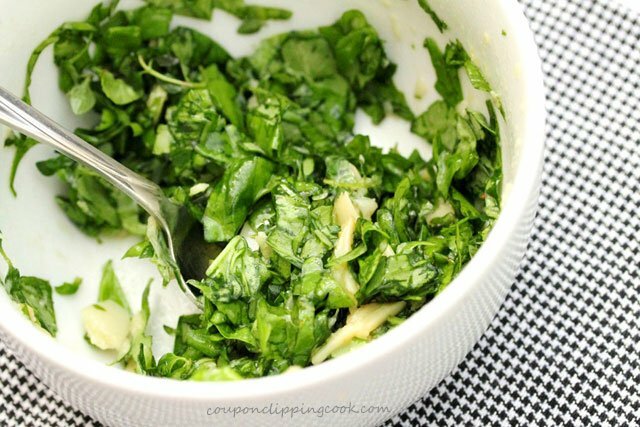 In a small bowl add basil, thyme leaves, roasted garlic, olive oil and salt. 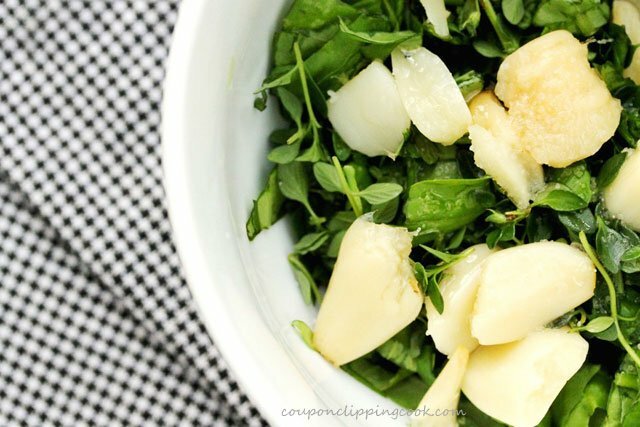 With the back of a spoon, smash the garlic up and mix into the herbs. 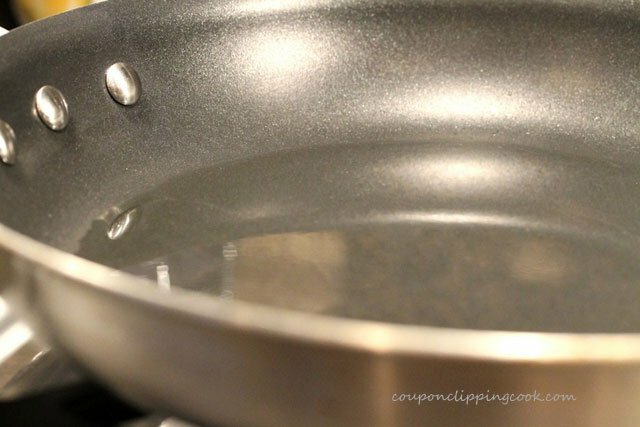 Heat a medium size skillet on medium heat and add the olive oil. 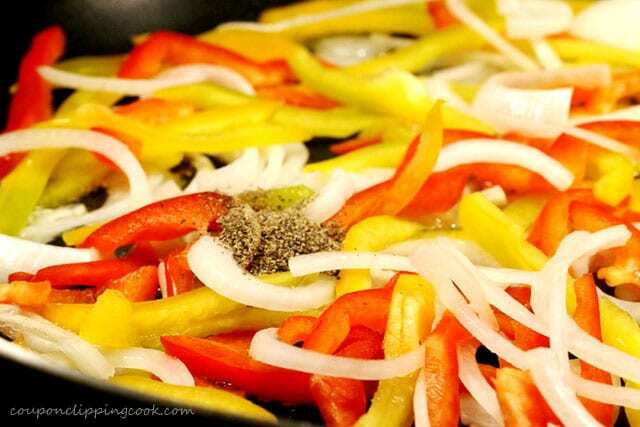 Add the bell peppers, onion and pepper. Stir. Sauté until the onions start to turn translucent (about 8 minutes). Remove from the heat and set aside. For the Brussels Sprouts - To a medium size bowl, add the Brussels sprouts (leaves) and drizzle olive oil on top. Mix together and set aside. On a large baking sheet, set the bread. If the top side (rounded) is used, a small piece may need to be cut off (on the rounded edge of the bread) so it will lay flat. 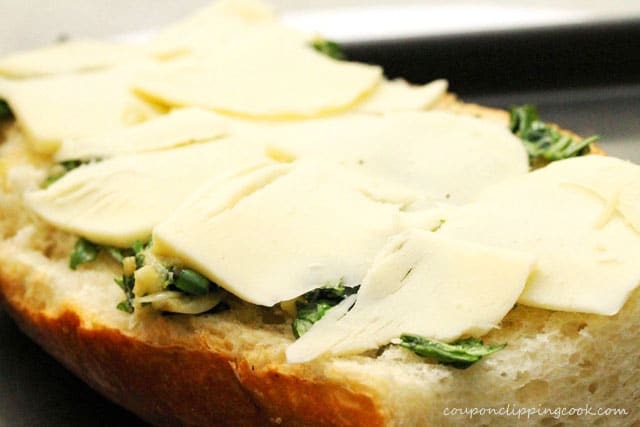 Spread the roasted garlic and herb mixture on the cut side of the bread. Drizzle olive oil over the herb and garlic mixture so it seeps into the bread. Lay the mozzarella slices evenly over the herb and garlic mixture. 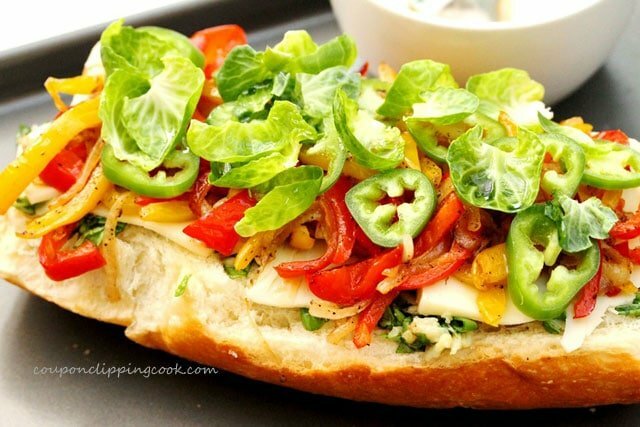 Top with bell peppers, onions, jalapeno, Brussels sprouts (leaves) and Romano cheese. Top with the Brussels sprouts and Romano cheese. 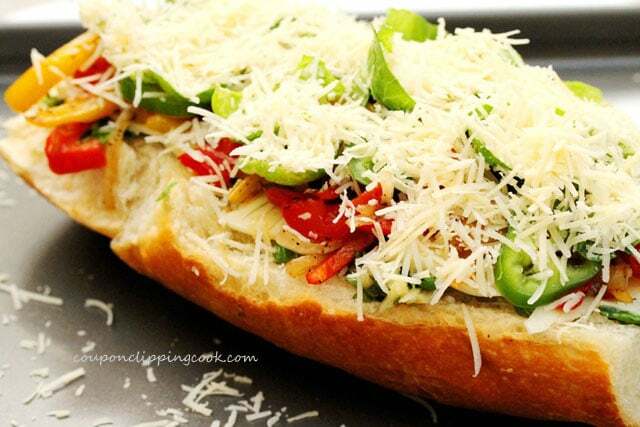 Bake in a preheated oven until the Romano cheese melts (about 15 minutes). Serve warm. Thank you! 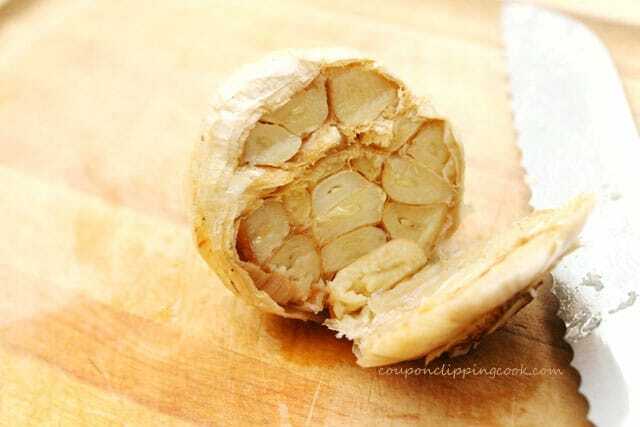 I just love the mild flavor of the roasted garlic. 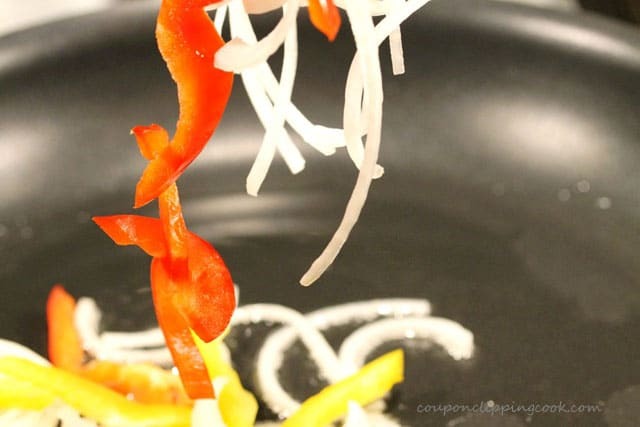 Great step-by-step photos. I don’t think I’ve ever seen garlic look quite so photogenic 🙂 This is my kind of snack. Making it next time peppers are a reasonable price. Thank you Hester. I know what you mean about waiting for the peppers to be a reasonable price. I just can’t bring my myself to buy them when they’re not on sale. This does look and sound delicious! Look at all those jalapenos! -:) I will definitely have to cut back on a few of those, but otherwise, it all looks wonderful. Look at the color on those veggies! Beautiful! This looks abosolutely delicious. Great recipe! Alida, thank you very much!